We are happy to offer you the convenience of purchasing your ticket(s) from any choir member, or on-line below with PayPal or credit card. A credit card purchase option may be made at the end of the checkout process. After purchasing your ticket(s), please print your receipt and bring it to the concert. We receive confirmation of your online ticket purchase, and we will hold your ticket(s) for you at the door when you arrive. 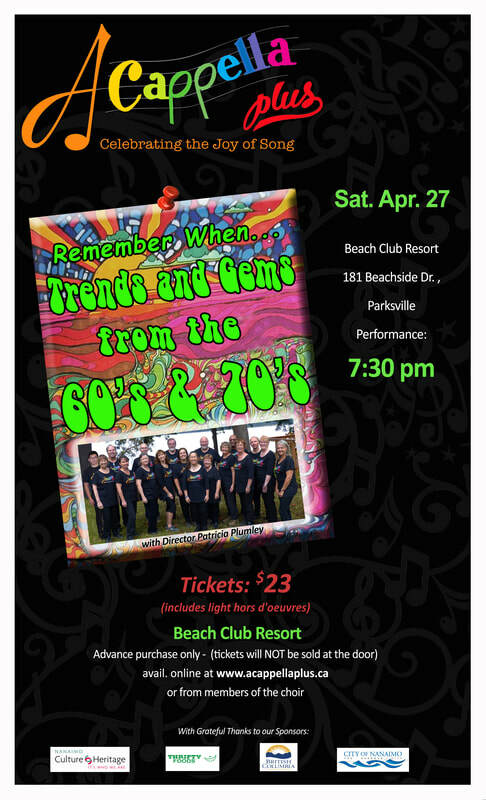 Please note: Tickets to our Parksville concert will not be sold at the door. Thank you for your support and enjoy the concert! Remember When?......Trends and Gems from the 60s and 70s! 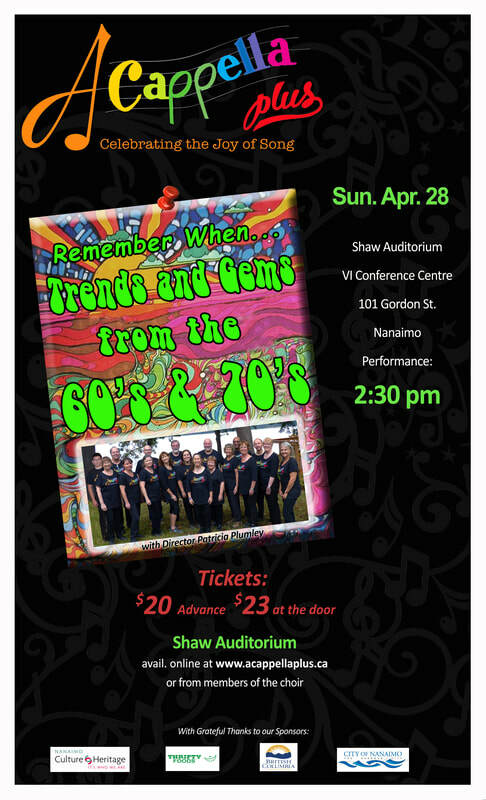 $20.00 Advance ticket sales from choir members and online. Hors d'oeuvres will not be served at intermission and this is reflected in the reduced advanced ticket price. Tickets will be sold at the door for $23. There will be a cash bar prior to the concert and at intermission. No beverages are permitted inside the Shaw Auditorium. The intermission will be slightly longer to allow audience members enough time to enjoy their beverages.